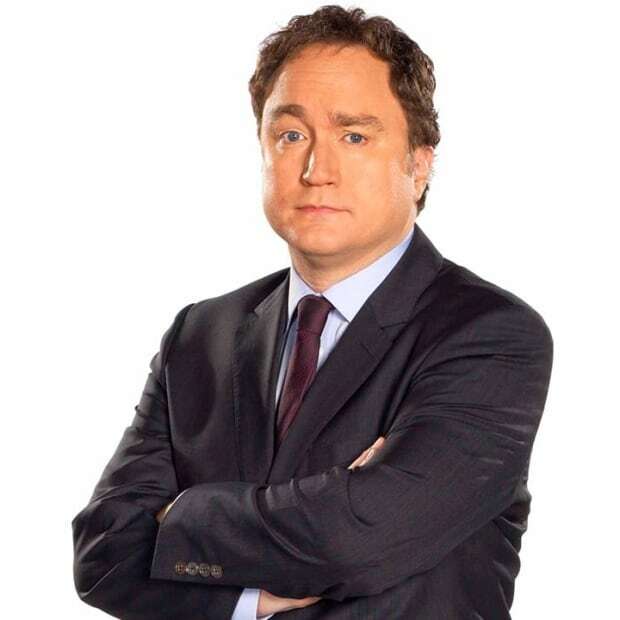 Queen Elizabeth has outlasted so many world leaders that Mark Critch can’t help but wonder what she’d think of the current Canadian prime minister. Queen Elizabeth became the longest reigning U.K. monarch this week. She had reigned for 23,226 days, which is slightly less than Jean Chrétien was prime minister and two days longer than the current election feels. The 89-year-old corgi collector said the title was "not one to which I have ever aspired." Which is odd, because that sort of means she hoped to die before this. Awkward. 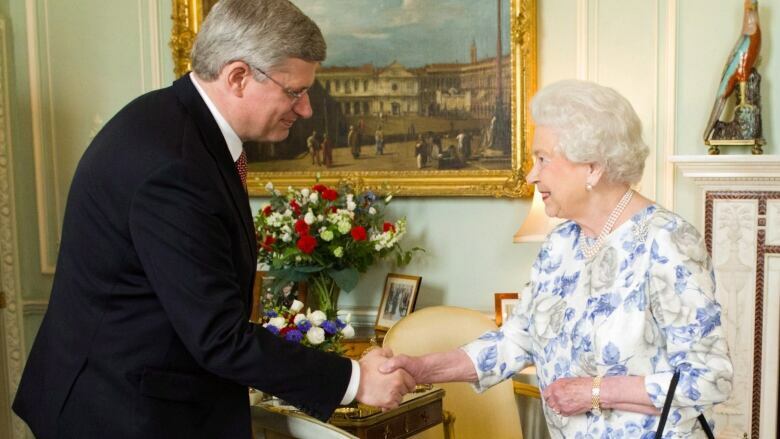 Stephen Harper, who duly extended his congratulations to the Queen on her milestone, is our sixth-longest serving prime minister and the second-longest Conservative one. Should he win this current election he will move up to the No. 5 spot in the list of people who have overstayed their welcome the longest. Like most seniors, Her Majesty has read a lot of obituary pages. She has outlasted so many world leaders that I can't help but wonder what she'd think of the current Canadian PM. I am so pleased to know that you are celebrating your one hundredth birthday. I send my best wishes on such a special occasion. Oops. Sorry. Force of habit. We were surprised to receive your note congratulating one on one's record-setting reign. How did you get my address? In future, please send your correspondence via the Governor General. It's the only reason he is there. Much thanks. Twenty-three thousand days. To be honest, my bottom is killing me. That's a lot of sitting. I am told that you may soon become your country's fifth-longest serving prime minister. That's adorable. My fifth-longest serving hat is 69. I've enclosed a quarter. Please call someone who cares. You may also note that my face is on the quarter. Call me when they let you on your currency. The first prime minister I was forced to meet was Louis St-Laurent. Your fellow lumberjacks had nicknamed him "Uncle Louis." Then came the one nicknamed "the Chief" – Diefenbunker or Banger or some such. You know the one. He had the hairline that started beneath his eyebrows and the love child who keeps tweeting at me and asking me to "follow him." Fathering people out of wedlock also reminded me of my uncles so I never liked him either. Now, with Pearson, you people finally started to bring some pride to the Commonwealth. Pearson, I recall, won the Nobel Peace Prize. That used to be a thing you were known for. I so fondly remember the peacekeepers in their little blue hats. You've become quite hawkish of late. Putin told me you warned him to get out of the Ukraine. He couldn't place you and thought, at first, that you were Camilla. Oh, how we laughed. Where was I? Oh, yes, Pearson. He was the one who gave you your own flag. One cannot express how one feels to discover the Union Jack is not good enough for a Dominion. And, what better symbol to replace that of the greatest empire known to man than with a leaf? Oh, yes. Much better. Something that when faced with a change in temperature shivers up and dies? Yes a perfect symbol for the frozen north of Canada. But whatevs. I'm over it. At least, Pearson had an airport named after him. What an honour it must be to have a building named for oneself. I do so hope I get that one day. Oh right, it happens every day. I've cut more ribbons than Usain Bolt. Sorry. I guess I'm just touchy these days. Oh, and speaking of touchy, how can I forget that rose-wearing, pirouetting Pierre. I am told his son may be prime minister. God save me. I met John Lennon once, but I'm not going to have Julian over for tea, you know what I mean? Besides, it'd be awkward. Pierre and I had a history. Let's just say that signing the proclamation of the constitution was the only way to get rid of him. It's all gin under the bridge now. Joe Clark, Joe Turner, Kim Campbell. I've had corgis live longer and they're more overbred than we Royals are. Want to know a secret? I was the one who pushed Kim Campbell out. A female PM is too much like a Queen and I wasn't having it. Shall that be our secret? I hope so, as I have forgotten to whom I am writing. Here's a royal proclamation for you. I hereby declare it to be Gin O'clock. Mulroney? An Irishman who sucked up to Reagan? All of my least favourite things in one man? Only in Canada, you say? Pity! Now, Chrétien? Him I liked. I named him to the Order of Merit you know. Being Queen is a lonely job and Jean was a good confidant. He could be trusted not to go to the tabloids because he was incomprehensible in both English AND French. Who would he tell? Paul Martin put his hand on me once. ONCE. Oh, not like that. It was in Regina. Latin for Queen, you know. Anyway, he put his arm on my back to keep me from slipping in the rain. Protocol gave him hell. Anyway, that brings me to you. I hear you've been having a spot of trouble with your candidates. One fellow tinkled in a mug? Don't worry. It doesn't faze me. If we could only get the corgis to tinkle in the china I'd throw a parade. Every other week it's a new carpet. Frustrating. It's not the money. I have what Prince Harry calls "mad bank." I so hate currency though. It's depressing to watch oneself age every time one buys a scratch ticket. Any-hoo. I'm Googling you. I just watched your new ad. The tag line is that "you're not perfect." Is that the best you could come up with? Was "at least he doesn't drink" already taken? Dear God. Why am I writing this? I buried Churchill. Just leave this for whoever the next one is. God save me. Actually, no. God save you. I know I'll still be here in October. Mark Critch is a comedian and a cast member of This Hour Has 22 Minutes, which airs Tuesdays at 8:30 p.m. (9 p.m. in Newfoundland and Labrador) on CBC Television. Follow him on Twitter @MarkCritch. As This Hour Has 22 Minutes' anchor and roving reporter, Mark is one of the hardest working comedians in show business, winning multiple awards for both writing and performance. In addition to 13 years starring on 22 Minutes, Mark has appeared in CBC's Winnipeg Comedy Festival, is the host of CBC’s Halifax Comedy Festival and has written for and appeared in CBC's world-renowned Just for Laughs series. His role in the highly-acclaimed feature film The Grand Seduction, garnered him the ‘Best Actor Award’ at the 2013 Atlantic Film Festival.